Remarkable writers, painters, musicians, dancers and filmmakers, from Egypt and the region... Ahram Online Arts and Culture remembers creators who passed away in 2013 leaving behind unprecedented cultural wealth. 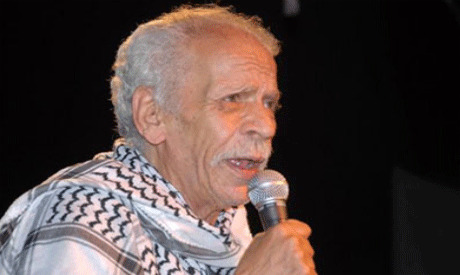 Egyptian musician, Mohamed El-Ezabi was born 20 February 1938 in the Al-Hussein district of Islamic Cairo. El-Ezabi graduated from the faculty of commerce and worked in the General Authority of Petroleum. His singing talent was discovered by composer Ezzat Jahili. In 1957, El-Ezabi joined Reda Dance Troupe, to which he introduced some of his famous songs like Luxor Baladna (Luxor Our Nation). El-Ezabi took part in two known movies, Agazet Nos El-Sana (Mid-Year Holidays, 1963) and Love in Karnak (1965). Born in Cairo on 21 February 1949, Abdel-Moneim Kamel's first steps as a dancer coincided with Egypt's dynamic development of the ballet scene. Kamel graduated from the Higher Institute of Ballet in 1967, where he also received his master's degree. At the same time, he graduated from the Faculty of Economy and Commerce, Cairo University, obtaining a masters there too. Kamel left for Moscow to continue his studies, and there he received his PhD in 1979. In the 1970s, he experienced the highest international glory and in the 1980s he decided to bring his expertise back to Egypt where he would rebuild the by then weakened ballet troupe. It is safe to say that the Cairo Opera Ballet Company is solely the creation of Abdel-Moneim Kamel, who moved it from a company operating under the Academy of Arts into the internationally renowned company, part of the Cairo Opera House. Abdel-Moneim Kamel passed away, due to heart attack, in Alexandria, shortly after attending the general rehearsal of Swan Lake. 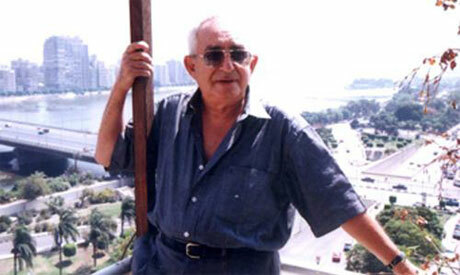 Born in 1926, Egyptian filmmaker Tawfik Saleh worked on seven feature movies and seven shorts, all between 1955 and 1980. The large part of the body of his works look into social injustice, political corruption, class struggles, censorship and bureaucracy. Though many of his works were acclaimed by the critics, they were constantly challenged by the censorship authority. His movie, The Rebels (Al-Mutamarridun, 1967), ased on a story by journalist Salah Hafiz, tackling the shortcomings of the 1952 July Revolution, was banned in Egypt. In 1970, Saleh moved to Syria, then to Iraq where he taught at the Cinema Academy in Baghdad. In Syria he released The Dupes (Al-Makhdu’un) produced by the Syrian National Film Organisation. The film sheds light on Palestinian Diaspora suffering at the hands of Arab regimes. The Dupes is considered one of Saleh's finest works and a masterpiece of the Egyptian cinema. Saleh returned to Egypt in the early 1980s. His movies represent an important part of Egyptian cinema history. They remain important reference points in studies of cinema realism and a reminder of the quality films which characterised Egypt's cinema in 1960s and 1970s. Born in November 1936 in Daqahlia, Abdel-Hady El-Weshahi was a world-renowned Egyptian visual artist. 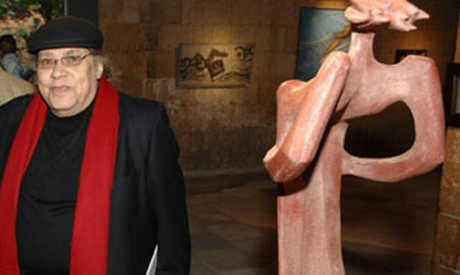 He received his BA from the sculpture department at the Faculty of Fine Arts in Cairo in 1963. He went on to study at the San Fernando Academy of Fine Arts in Madrid, Spain. El-Weshahi lectured at the sculpture department at the Faculty of Fine Arts in Alexandria and in Cairo. The artist participated in group exhibitions in Egypt since as early as the late 1950s, taking part in the Cairo Salon from 1959 until 1966. His artwork was also showcased at international art festivals, including the Paris International Biennale (1961 and 1963) and the Venice Biennale (1980). His work has been acquired by the Milano Modern Art Open Air Museum and the Contemporary Fine Arts Museum in Ibiza, Spain. In Egypt, his artwork has been acquired by various cultural institutions, including The Museum of Modern Egyptian Art, the Museum of Fine Arts in Alexandria, The Military Museum, Al-Ahram Newspaper headquarters, among others. Born in 1931, Ratiba El-Hefny whose career as a soprano took her to numerous international stages, began her music education at the Faculty of Music Education in Cairo. In the 1950s, she had studied operatic singing for three years in Munich and was the first Egyptian opera singer to return to Egypt with a diploma in singing. She became rector then dean at the Higher Institute of Arab Music in Cairo and was appointed dean of the same institution in 1962. During her dynamic career and dedication to the field, she established a number of ensembles, many of which operate until today: the first children’s choir in Egypt and later the Cairo Opera Children’s Choir; Umm Kolthoum Ensemble for Arab Music, the Religious Songs Ensemble and the National Arab Music Ensemble. In 1988, on the opening of the new Cairo Opera House, El-Hefny became its chairperson (president of the National Cultural Centre), a post that she held until 1990. For over two decades, she hosted radio and television programmes dedicated to Arab music. For many years, until 2010, she was the supervisor of the Talents Development Centre operating under the Cairo Opera House. In the late 1990s she became the president of the Arab Society for Music, an organisation associated with the Arab League, a position she was repeatedly elected to by the voting committee every four years. El-Hefny was the artistic director of the Arab Music Festival held annually at the Cairo Opera House. 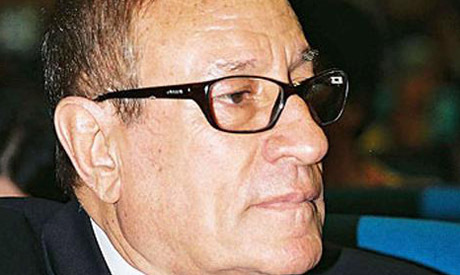 Beloved by Egyptians and the whole Arab world, Wadei El-Safi is considered a Lebanese music legend. Often referred to as the "voice of Lebanon" El-Safi belonged to a golden age of music in his country and the wider Arab world, along with Lebanese diva Fairuz. With a catalogue of some 3,000 songs, Safi was best known for popular and folk themes in his music, but also sang Lebanese and Arabic poetry. 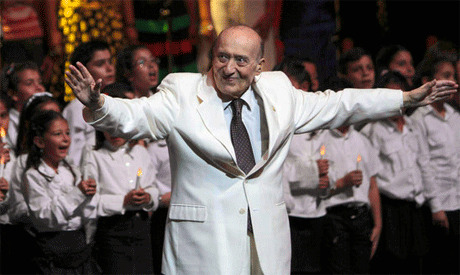 He held Lebanese, French and Brazilian nationality, and contributed to the revitalisation of Lebanon's music, a movement led by the Rahbani brothers. He was much admired by his contemporaries, with the great Egyptian composer and singer Mohamed Abdel Wahab once marvelling, "it is impossible that someone should be endowed with such a voice." Born in Sharqiya on 29 May 1929, Ahmed Fouad Negm was one of Egypt’s most renowned vernacular poets of the second half of the 20th century. He was a protesting voice since 1967 when he wrote his famous poems on the Six Day War. His poems were frequently heard at protests, and during the January 2011 uprising revolutionaries sang many of them, including The Brave Man is Brave. His name was closely linked with singer and composer Sheikh Imam, who sang many of his protest poems. 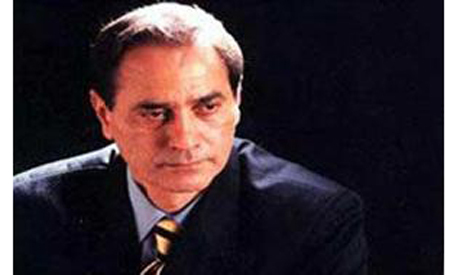 He was known for his vehement criticism of Egyptian presidents, for which he spent 18 years in prison, including 11 for mocking the television addresses of president Anwar Sadat. Negm subtly merged cynicism with a sense of the oppression suffered by the working class. Speaking at a poetry evening in Amman three days before his death, Negm said the anti-Morsi protests of 30 June were the start of a new revolutionary wave. But he rejected the idea of army chief Abdel-Fattah El-Sisi running for president. 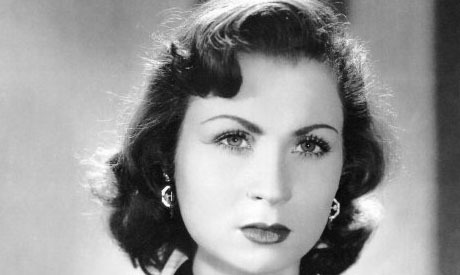 Egyptian renowned actress Zahrat El-Ola starred in tens of popular films in the 1950's and 1960s as well as numerous TV soaps. Some of her memorable performances on the golden screen included a supporting role versus Omar Sherif in A Man in Our Home and along Faten Hammama in The Curlew's Prayer. Described as homeless Sudanese painter and writer, 43 year old Mohammed Hussein Bahnass, reportedly died from cold in the Cairo street. Bahnass had moved to Cairo in 20111 to exhibit his works but he quickly ran out of money and had to abandon his home "and sleep on the streets of downtown Cairo", said Imane Adel, a journalist working with independent Egyptian daily Al-Youm Al-Sabea. He was a regular figure in downtown Cairo, seen even in the iconic Tahrir Square -- the epicentre of protests against longtime ruler Hosni Mubarak. Ahmad Bahgat, an activist who participated in the anti-Mubarak revolt, had befriended Bahnass and realised that he was a capable artist. Bahnass was "homeless", Bahgat said in a message posted on the Internet, but he was a good artist "who had had a successful exhibition in France". He said Bahnass had drawn several graffitis in central Cairo where murals have cropped up since the 2011 uprising that toppled Mubarak.